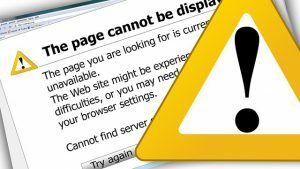 As online teachers, we’ve all wondered at one point how to fix internet problems affecting our classes. The internet is our lifeblood, the foundation of our livelihood, the source of our success, the Nile River to our harvest-you get the idea. We depend on a strong and reliable internet connection to teach our classes and support ourselves. While your connection speed and strength can be influenced by external factors (like your Internet company), you can still do your part to ensure a stronger, more stable connection. In this article, I’ll walk you through a handful of tools I use and measures I take to avoid IT problems. In this day and age, you’d like to think the speeds advertised are the speeds you are getting. But this often isn’t the case. Companies may brag about operating speeds, but these are often theoretic data speeds reflecting a connection in a sterile environment without any lag or latency. Real world speeds can be influenced by many factors, including your internet connecting hardware, so it’s a good idea to run tests using a site like http://beta.speedtest.net/ to monitor the download and upload speeds. Of equal importance is your network ping, which is a marker of your connection’s stability. DO NOT run the speed test while teaching, as it will cause this value to fluctuate (I learned that the hard way trying to prove to the tech team it wasn’t my fault). I learned to resolve this while experiencing unexplainable issues in Spain. It turned out my company had altered the servers, leaving me unable to connect correctly. During this ordeal, I discovered it’s best to visit your provider’s website to use their version of the speedtest as proof, or have someone come to your location to conduct it (muchas gracias Esperanza por tu ayuda). If they detect an anomaly, they may opt to change out your hardware for newer ones to stabilize and speed it up. Even though you’ve now corrected any issues with your internet provider and your tests are showing lightning-fast speeds, don’t leave it up to a wireless connection to provide you with this exact velocity! Your distance from the modem, other objects between the modem and your device, and the number of other users can all influence the speed you’re getting. Did you know some of the bandwidth is even used for other things by the modem or router? 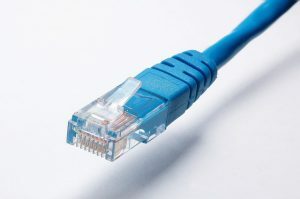 Use an Ethernet adapter and cable to maintain a wired connection to the modem or router. This will decrease fluctuations in latency (your ping) and increase your stability while teaching. There are a few different kinds of Ethernet cables that can suit your needs. While Cat5e cables improved upon older versions to reduce cross-talk and interference, Cat6 cables and up are certified to handle higher speed networks to provide the fastest and most stable experience while you teach. 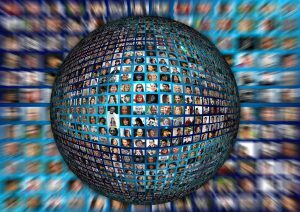 The greater the distance the data needs to travel, the less effective the network will be. Search for the shortest cable your space allows here at Amazon. If your laptop is newer and thinner, you may notice there isn’t an ethernet port. You can pick up an Ethernet-to-USB adapter to hardwire your device to the network. Just as there are different grades of Ethernet cable, there are better versions of Ethernet-to-USB adapters as well. You’ll want to avoid the mistake I made in Spain of going for a cheaper model I later realized didn’t support my network. Opt instead for a USB 3.0 to Gigabit Ethernet Network. Here’s an inexpensive one from Amazon Basics. If any of the previous tips contained terminology you’re unfamiliar with, drop us a comment or private message, and keep reading! We’ll now discuss some less tech-involved measures you can take to fix internet problems that occur while teaching online. This might come as a surprise to you, but one of the easiest and most effective steps you can take to ensure a smooth internet connection is to restart everything: your modem, your router, and your device. Each morning I rise with the sun (sort of) and unplug my modem and restart my laptop while brewing my first of many cups of coffee. I don’t have a router but if I did, I would restart it also. This quick and easy habit gives my devices the rest they need, as they stop functioning at their best when running constantly on a power source. Furthermore, they become more and more unsynchronized from your Internet Service Provider (ISP) with each day they’re left running! I’ll discuss the way I implement a bit of ‘Zen-like’ practice when setting up for and cleaning up after each class in a later post. But this is why I don’t automate these processes. If you wish to automate these restarts and save yourself time and sleep, get a NetReset Automated Power Recycler for Modems and Routers. Each day, at a time you set, this device will reboot your modem and router in sequential order to refresh the connection to your ISP and correct issues to give you a fresh connection for the day’s classes! Additionally, you can set your laptop or device to restart, sleep, power off completely, and wake up. Here is an article explaining how to do it on both Macs and with Windows: https://lifehacker.com/5831504…. Speaking of restarting or powering off, it’s time to search your house for other pesky devices robbing your bandwidth! 4. Shut Down All Other Devices-Again, Everything! Do you have other devices around your house using WiFi? Before you rush to say “Nope!”, let’s go over a device often overlooked these days: your TV. If you have a newer TV, there’s a good chance you’ve got it connected to your Wi-Fi in order to access services like Netflix, HBO, Hulu, etc. Make sure to turn this off! The steps to do so will depend on the make and model, so use your product manual, call the maker, or call your service provider to figure out how. Next, scour the immediate area for other phones, tablets, laptops, anything with a WiFi connection. Again, I turn each device to Airplane mode. When I returned to the US from my most recent time abroad, I didn’t know my family had picked up an extra tablet. I finally figured out the chirping noise was the sound of it using my precious bandwidth to auto-update daily during my classes! Finally, search for and turn off all other apps on your computer using RAM or Wi-Fi without your knowledge. I close Skype when teaching on my company’s platform (make sure to right-click the icon and quit the application completely) or all other video call apps if teaching via Skype, OneNote/Evernote (can use up bandwidth when it attempts to sync devices) and all other applications or programs that sync between my devices. If I don’t need it while teaching, it gets the ax until my classes are complete. 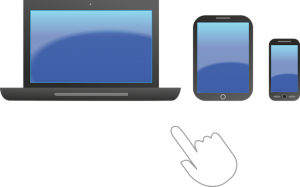 The more devices share a network, the weaker the signal strength can be if your router doesn’t prioritize use for resources you need for teaching, like video calling. These simple steps will help you ensure the sweet, sweet nectar that is internet bandwidth goes towards teaching your students! 5. Apps and Plugins-To Use or Not to Use? Finally, allow your computer to run at its best by freeing up RAM to help fix internet problems. You can read more about it in our post about How to Become an Online Teacher. The problem with many programs or apps advertising an ability to do this is they aren’t effective. At best, they’re selling harmless snake oil, while at their worst they can contain malware or initiate processes to slow down your device instead! Those that effectively shut down applications or programs hogging your memory are often not programmed well, so they’ll turn off an essential app your OS must now waste memory restarting. They may even go so far as to delete preference files or data files that take forever to recreate. A simple alternative is to use the Task Manager (or Mac equivalent) to see which other processes are using up the most of your memory and stop them if they are not essential. One useful app saves your browser tabs for viewing later. Remember to also clear your Browsing Data, especially the Cached Images and Files. You can automate this in your Browser Settings, or do it manually each day as part of your pre-class routine like me! What Does This Mean for Online Teachers of Teach Nomadic? The strength of our network here at Teach Nomadic is based on the honesty of our members when registering locations and by the reliability of these verified Connected Classrooms. It adds credibility to your posting of a verified classroom if you can get a screenshot of the speeds and ping by at least using http://beta.speedtest.net/. You can also let us know if the space allows for a hardwired Ethernet connection and how far away the modem or router is from the desk/teaching space in the Profile Description when you register the space. As for yourself, you’ll now know to travel with an Ethernet-to-USB adapter if your device doesn’t have an Ethernet port. You can also feel confident knowing your request for a host to reset their modem/router or consult with their ISP about their speeds is not rude but helpful to them! Finally, you’ll know whether or not you should bring along a portable wifi hotspot device as a backup (we always recommend it!) With one like TEP, you only pay for the days you use it. We hope you’ll use these tips on how to fix internet problems to ensure your online classes run smoothly and when registering reliable new locations to teach from around the world! Have a question about these tips? Want to share your own suggestions for combating internet problems? Please feel free to leave a comment below and let me know what you do! 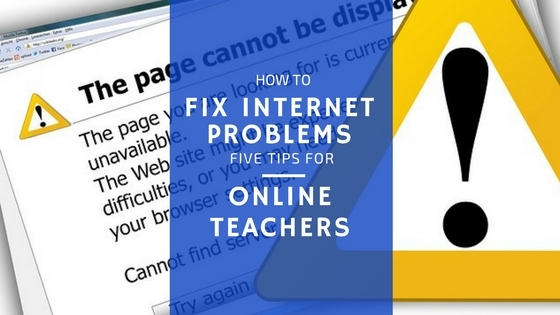 This entry was posted in Best Tools For Teaching Online, How to Teach Online and tagged internet problems, internet requirements, online teaching. Bookmark the permalink. Good article! I live in a rural area where internet is basic at best. A good way to strengthen your single is ‘bonding’. This is installing another line into your house and then combining (bonding) them together to give you a stronger line. It wont however double your speed but maybe increase it by a third. Also if one line goes down you still have the option of the other as they are still wired separately! The only downside is this will double your internet bill which could make it too expensive but if you gotta do what you gotta do! That is a great article. Sometimes my home broadband seems to go really slow and so my usual ritual is to unplug the power to the router, leave it for a few seconds before plugging it in again. This sorts the problem most of the time but it can be frustrating. I like the tip about the chrome extension as I never knew about that but I might give that a try. Recently my internet has been slower and slower. I’m getting ready to move to another part of town and I’m trying to decide if I should switch to a different internet provider. I like where you said that you should use an adapter and cable instead of using wireless all the time. I’ll have to look into different providers and find the one that works best for me. I would definitely start with your current provider and see if you’re actually getting the speed and stability you’re paying for. If not, and they can’t improve it for you, I’d definitely switch. In fact, I myself just switched to a more reliable provider. Sure, it didn’t help when we lost power and internet from all of the snow haha. But it’s much faster and more stable now that we’re connected again! Plug in with the ethernet cord and you should be all set 🙂 Sounds like a good plan! Thanks for stopping by, and let me know if you ever have any questions! I didn’t realize that the distance from the modem a device could affect the speed of a connection. Being able to have little fluctuation in latency is essential, especially when browsing or looking through a website. I could imagine that a business or school could benefit from knowing where their modem is located. Yes, they are! If you’ve confirmed your speeds are correct from the provider to your router (20mb/s for example) then that is what you are receiving to the router. But the question then is, ‘Am I getting those speeds from the router to my computer via WiFi signal?’, and distance and obstruction will most likely reduce the speeds you actually get to your computer. Hi. Could you please explain more Ethernet-to-USB adapter to hardwire your device to the network option? I do have an ethernet cable but i doesn’t fit my MAC. Thank you. Most laptops these days are made to be lightweight and thin, so there’s no space for a proper ethernet port. Just grab one of these Ethernet adapters and plug it in. Mac users may need to install the latest drivers by clicking here: Download Updated Drivers, which just takes a second. Full disclosure of course: Both Amazon links are affiliate links that earn Teach Nomadic a small commission if you click them at no extra cost to you, and it goes right back into the website costs :). A bit more complicated explanation: With WiFi, you don’t always get the full speed the provider lists on their plans, and this happens for various reasons. When you’re hardwired with an Ethernet cable, you’ll get a lot closer to the speeds your company boasts of BUT not if your Ethernet cable or Ethernet-to-USB adapters can’t handle the speeds, too. Otherwise, you’ll cap the speeds coming into your laptop by accidentally restricting them either with your Ethernet Cable or the Adapter. Luckily, most cables are at least Cat5e, and most adapters handle speeds needed for online teaching. Let me know if I can answer any other questions for you, and thanks again for stopping by! Is ping 18 ms good? Can you explain the ping speed numbers? The ping is basically a measure of the network stability, and 18ms is awesome! VIPKID’s max allowed is like 200ms, but you really don’t want to deal with anything over 100ms. If the network is strong enough (VIPKID req: at least 20 Mbps, but you can sometimes get away with a little lower if it’s stable enough) you should be good to go :).